This city based hotel is located in the Cathedral Quarter of Derby, so if you're interested in heritage and culture, this is the ideal choice for you! There is an abundance of cafes, shops, museums and galleries, all within a 10 minute walk. 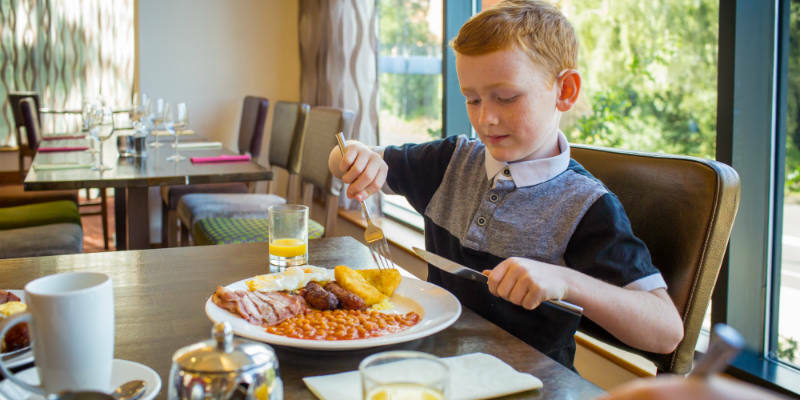 When you're back from a fun-filled day, grab a tasty treat at the hotel restaurant, before heading to your comfy, clean room for a good night's sleep — ready to enjoy your 2nd Day in the Park FREE, only with Alton Towers Holidays! 2pm and 12 noon Can I leave my luggage at the hotel? Full English and continental style buffet as well as porridge, cereal and waffles What’s the hotel restaurant like? Triple rooms - These are a double and single bed. Cots can go in Triple rooms, but it will be a tight fit. 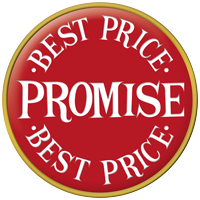 Quad rooms double and sofa bed suitable for children up to the age of 12. Cots CANNOT be accommodated in Quad rooms. What facilities are there in my room? From THE SOUTH leave the M1 motorway at Junction 25, at the roundabout take the 1st exit and merge onto the A52, sign posted Derby. Continue for approx 7 miles to the Pentagon Island Roundabout; take the 2nd exit onto the A52, sign posted City Centre. Keep in right hand lane and continue forward onto the A601, signposted City Centre (North), Matlock, Ashbourne. From there, keep in left hand lane and branch left, and then merge onto the A6, sign posted Matlock (A6). Continue onto St Alkmunds Way and Jurys Inns Derby is located on the right hand side. From THE NORTH leave the M1 motorway at Junction 28, at the roundabout take the 3rd exit onto the A38. Continue for approx 13 miles, when at roundabout take the 1st exit onto the A61, sign posted Derby, The South M1. At next roundabout take the 2nd exit onto the A61, sign posted City Centre, The South M1. Take the 5th exit at the Pentagon Island Roundabout onto the A52 and continue forward onto the A601, signposted City Centre (North), Matlock, Ashbourne. Keep in the left hand lane and merge onto the A6, sign posted Matlock (A6). Continue onto St Alkmunds Way and Jurys Inns Derby is located on the right hand side. How can I get around?